Download .p12 and .cer file, attached to the email sent from Voxior. Double-click the .p12 file to open the Certificate Import Wizard. Choose "Current User" and click "Next". Check the file path, and click "Next" again. Choose "Automatically select the certificate store..." and click Next (Personal certificate store). The Store Location will be "Local Machine". If not you need to exit out of the app and make sure you are in the computer certificates control panel, not the user certificates. Click Next. Browse for VoxiorCA.cer. Click Next. 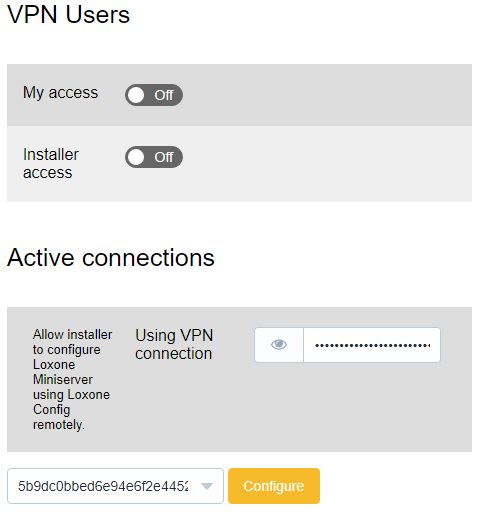 Open the "Change virtual private networks (VPN)" control panel. Connection name: Enter "Voxior VPN"
To connect to the VPN simply click on the VPN connection. Congratulations! You have successfully set up Voxior VPN on your Window 7/10 device.